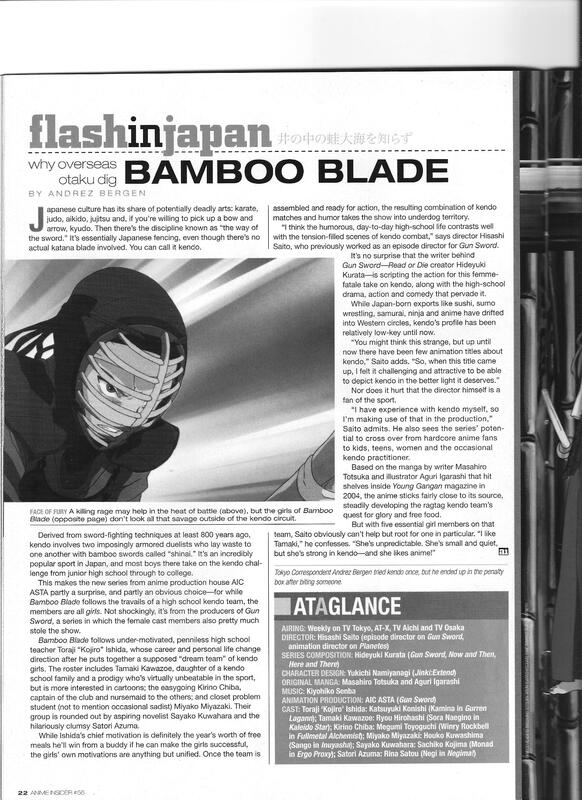 An interview with Bamboo Blade director Hisashi Saito, who mentions he actually has some personal kendo experience. 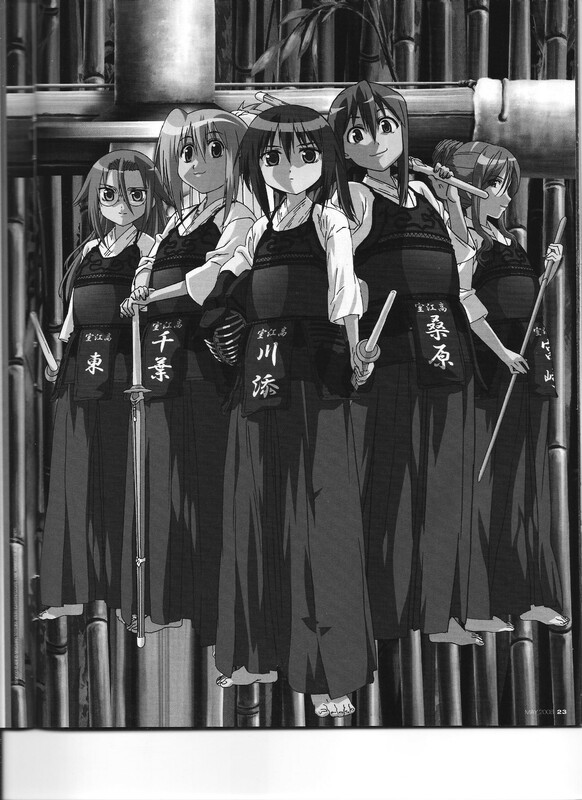 This entry was posted in Old Magazine Articles and tagged Anime, Bamboo Blade, Borderline Plagarism for the Freedom of Information, Hisashi Saito by torisunanohokori. Bookmark the permalink.